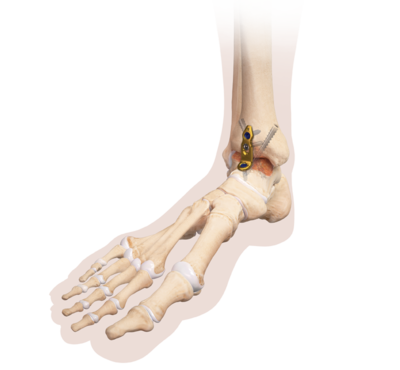 Ankle Fusion is indicated for severe osteoarthritis of the ankle. This is an arthrodesis or fusion between the tibia and the talus. The joint is debrided open or arthroscopic. Arthrex has developed 6.7 mm cannulated screws for this procedure.